Italy and other EU member states couldn’t find a solution at a meeting in Brussels on how to share the burden over migrant redistribution coming by sea, nor what to do with the 177 migrants currently stranded on a ship that is docked in an Italian port. Ten European Union states meeting over their latest migration tussle in Brussels on Friday found no solution for disembarking Mediterranean migrants stranded on the Ubaldo Diciotti ship which is docked in the Sicilian port of Catania, diplomats confirmed to Reuters. As a reminder, yesterday Italy's Deputy Prime Minister Luigi Di Maio threatened to stop financial contributions to the European Union next year unless other states agreed to take in migrants being held on a coastguard ship in Sicily. "Italy was pressing to come up with a solution for Diciotti," one diplomat said. "But it was not the most important element for the others, they wanted to talk more about structural solutions for the Mediterranean ships." "So there has not been a deal on Diciotti." After the meeting, the exasperated Italian PM Conte said the EU has "lost an opportunity" to show solidarity and responsibility by failing to offer a solution on the migrant ship. Conte also said that the meeting on migrants didn't follow the June decisions, and decried the EU's "hypocrisy", slamming the "gulf between words and actions over immigration" and said Italy would act accordingly. Meanwhile, according to press reports, scabies have been reported among 177 migrants stranded on the Diciotti with chief prosecutor Luigi Patronaggio describing the situation as "devastating." 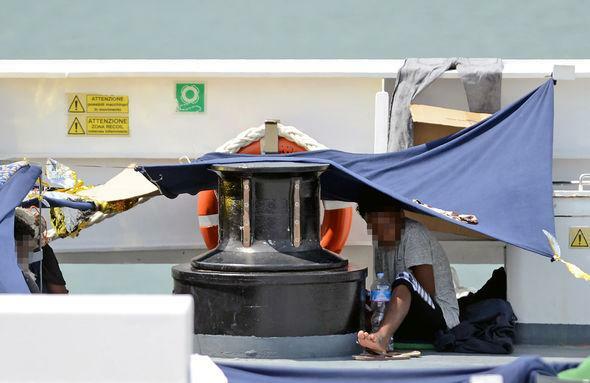 Pattinaggio, who is investigating the situation on behalf of the city of Agrigento, said: "On board Diciotti there are people sick with scabies and babies: devastating reality." MSF psychologist Nathalie Leiba said: "I went to the harbour in Catania to give psychological support to a group of Eritrean children who had been allowed to leave the Diciotti boat. I found them exhausted. They were confused." "They understood that there had been a problem which meant that they couldn’t disembark, but they didn’t know why." 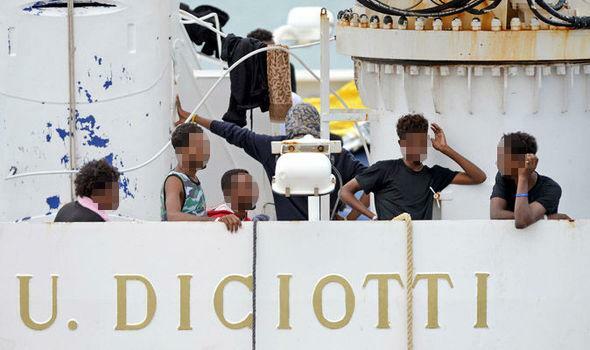 On Thursday, Salvini described those aboard the Diciotti as "illegal immigrants," and said they won't be allowed to step foot on Italian soil. Instead, he insisted fellow European Union nations take in some of the asylum-seekers. Siding with his Italian colleagues, Hungary's Foreign Minister Peter Szijjarto said on Thursday after meeting Italian counterpart that the Italian and Hungarian governments' policies on migration are identical on a multitude of points.